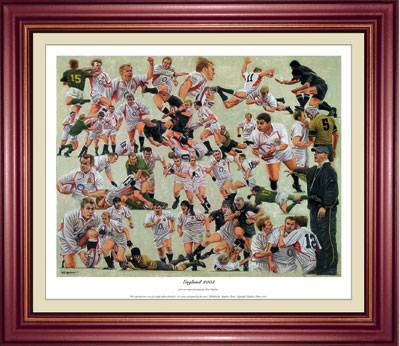 A Limited Edition fine art print by Peter Deighan. Enduring image of England's 2003 World Cup Winning Squad. This delightful montage features all the stars including Jonny Wilkinson, Martin Johnson, Jason Robinson, Matt Dawson, Lawrence Dallglio etc. and, of course, Clive Woodward. Published in a limited edition of only 500. Approx. paper size - 51x47cms. 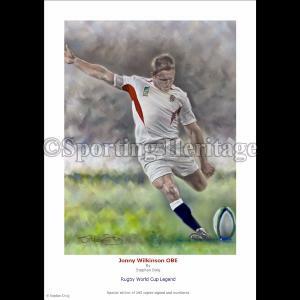 Please note, our price is for the unframed, limited edition print.